Lent is a good time to work on our character. We all have those little aspects of our personality that plague us. If only I could be less jealous, prone to lying, proud, angry, etc. If only I could be more caring, faithful, generous, patient, and the list goes on. It can be so frustrating! We work on our faults, only to find that once again we have fallen back into the muck of our own sinfulness. Yet, Lent invites us once again to fight the good fight. 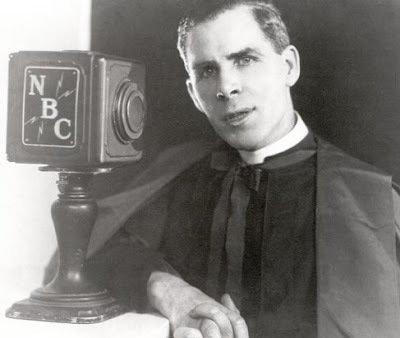 Archbishop Fulton J. Sheen wrote a wonderful article on “Emergence of Character.” (It is included in “From the Angel's Blackboard,” a compilation of his work.) In it, Sheen tells us that we can actually use our faults as stepping stones to sanctity. We can't do it alone, however. We need to pray for God's grace. 1)Ask God in prayer to help us be aware of our faults and to give us the strength to conquer the sin. 3)Perform a penance every time you succumb to the fault. 4)Turn your weakness into your strength. This attitude has great value, not only in working on our own faults, but also in helping our children work on theirs. In some ways, our children's faults are more glaring to us than our own. It is always easier to see that speck in your brother's eye, isn't it? In addition, we tend to see these young people as reflections of ourselves. The fault that we overlook when we look in the mirror seems magnified one-hundred fold when it comes out in our children. Still, as parents, we do have that responsibility to help our children work on their faults. Focusing on the progress that they are making instead of all the times that they fail can help both them and us realize that they are moving in the right direction. As parents, sometimes it is so hard to see the progress (especially when in the midst of sibling battle or temper tantrum #422). Sometimes we have to force ourselves to notice the good. Praying with our children for the weaknesses in their character, teaching them to tell God that they are sorry when they fail and to go to confession if they are old enough, and praising them when they do succeed in overcoming temptation are good steps to take to weed out those blemishes. It is important to have high standards for our children, to expect them to try to be all that God wants them to be. It is also important for our children to know that, like God, we will always forgive them and encourage them to get up and try again. It is good for our children to see us working on our faults as well. Children learn by our example more than we can ever know and they are very aware of our shortcomings. If they see us struggle and fail and try again and ultimately succeed, this will be more a more powerful lesson than anything we could say. In addition, those faults we triumph over can indeed end up being the strongest part of our character. Archbishop Fulton J. Sheen died in 1979 when I was still a rather small child. I had heard of him and knew that he had hosted a television show in the 1950s, but I had never read anything he wrote or heard him speak. In fact, I dismissed him as just part of the “feel-good” 1950s. What relevance could he possibly have to a woman living in the 21st century? I was wrong. My mother can't read for any length of time, so she often asks me to read books for her and then summarize them. She recently requested that I read “From the Angel's Blackboard: The Best of Fulton J. Sheen.” She had heard about it on EWTN and wanted to learn more. “From the Angel's Blackboard” is a summary of Sheen's work, a collection of essays on a variety of topics ranging from sanctifying the moment to working on getting rid of bad habits to love to almsgiving and bringing up children. I was very impressed by the depth of his thought. As it turns out, Sheen was very highly educated, possessing multiple doctorate degrees. He served on the faculty of Catholic University for over twenty years. He also was a master of using modern media to spread the good news. He embraced radio with “The Catholic Hour” and television with his “Life is Worth Living” series. He also wrote 66 books and numerous articles. He was a great evangelizer. He received more mail from non-Catholics than he did from Catholics! He was responsible for the conversion of many souls. He also attended all of Vatican II and worked to implement the reforms it put in place. While some of his work deals with issues of the day, such as communism and Freud, many of his ideas are much more lasting and do, indeed, have relevance for us today. He also serves as a role model for all of us who continue to use modern media to speak about what it means to be Catholic. I have no doubt that if he were alive today, Sheen would be blogging and posting video on the internet. Sheen spoke with kindness and humor and understanding. He never wanted his audience to feel inferior. Rather, he wanted to meet people where they were and bring them hope and meaning for their lives by pointing them to Jesus. At the very end of his life, he met Pope John Paul II. The Pope privately told the 84-year-old Archbishop that he had been a loyal son of the Church. On September 14th, 2002 the Congregation for the Causes of Saints officially opened the Cause of Archbishop Sheen, and conferred on him the title Servant of God. "Raising Up Mommy: Virtues for Difficult Mothering Moments" by Heidi Hess Saxton is the latest offering in the "Women of Grace LifeGuide Series." In it, Hess Saxton walks readers through the seven deadly sins (pride, envy, gluttony, lust, anger, sloth, and greed) and some common ways that they tend to manifest themselves in mothers. She even provides a short list of true and false statements for each sin so that one may determine if that sin is a particularly strong pitfall for her. Do you have a hard time letting anyone else run a program with which you are associated? Do you want people to know about your good deeds? If so, then pride might be an issue for you. Do you hesitate to invite people to your home because you are afraid of what they will think of it? Do you feel your life isn’t as interesting as other people’s? Perhaps it is time to put that envy in check. Have you ever lied about your eating or drinking habits in order to avoid embarrassment? When you are emotionally distraught, do you rely on certain comfort foods to help you feel better? Gluttony might be part of your problem. Do you daydream about former loves? Have you purposely kept part of your past from your husband? Maybe lust is at the heart of the matter. Do you have to apologize for angry outbursts on a regular basis? Do you resort to corporal punishment with your children as a means of venting your own anger? Anger could be poisoning your relationships. Do you spend more than you earn? Do you refuse to give to charity? Greed might be cluttering your life. Are your children always up before you? Do you always take the car even when you could walk to your destination? Sloth might be sucking up your energy. Yes, it is safe to say that in the course of reading this LifeGuide, you will feel guilty. Don’t give up hope! Hess Saxton offers ways to combat these vices in your life. First, start with the sacrament of confession and a clean state. Then, work on practicing the antidote for each sin, the virtue that beats out the vice. Humility, trust, temperance, modesty, justice, generosity, and prudence are gifts given by God to help us deal with these demons that threaten our spiritual progress and the harmony of our homes. Hess Saxton describes how women can uniquely manifest each of these virtues in light of their own experience. For example, motherhood is a lesson in humility unto itself. Hess Saxton’s writing style is conversational in tone. She freely shares her own shortcomings and offers humorous anecdotes about her own life. She acknowledges that she is on the journey with the rest of us and that “she has a long way to go.” This fact gives this work greater credibility. Hess Saxton invites us to do battle with the "mommy monsters" that plague our lives by taking advantage of the tools in our arsenal: prayer, the sacraments, and virtue. Following her instructions will help us on our spiritual journey and our journey of motherhood. It is a little late, but February 11 - 17 was "Random Acts of Kindness" week in the US. Still, kindness never goes out of fashion no matter what week it is. For some good ideas on how to spread kindness in the world, check out The Random Acts of Kindness Foundation. We spend our whole lives looking for God, trying to get back home. My spiritual director tells it this way: before we were born, an angel kissed us, and ever since we have been trying to get back there. St. Augustine phrased it as "Our hearts are restless until they rest in you." Whatever the wording, it is true. Our hearts ache for that feeling of happiness and security and peace that only God can provide. We may try to fill our hearts with all the stuff of this world but we will only come up empty. We are sojourners here, people on a journey. With God's word as our compass, we trust that we will find our way. Does the Church Exist for Today or Tomorrow? What is the purpose of the Church? Does it exist to bring us happiness today or to lead us to salvation and happiness for the world to come? Father Dwight Longenecker raised this question in “The Tale of 2 Churches” which appeared in the February 10th issue of the National Catholic Register. He argues that rather than “liberal” vs. “conservative”, “right wing” vs. “left wing”, or “charismatic” vs. “traditionalist”, the answer to this question defines what type of Catholicism one believes in. Longenecker is a convert to the faith and comes down squarely on the side of the Church existing for the world to come. As he states, “If this is your basic assumption, than your expectations for this life are realistic. You consider yourself and other people, while created in God’s good image, to also be sinners who need redemption and daily discipline. You believe in the reality of evil and consider this life to be the place and time to engage in spiritual warfare for the winning of souls.” Longenecker rejects the idea of organized religion as a self-help group. He claims that people will not find the “instant happiness” that they seek in religion and will soon become disillusioned and move on. On the other side of the argument, “Dear Abby” recently asked her readers what was the cause of the most problems in the world today. One reader answered “organized religion” because it was too concerned with the world to come rather than focusing on the here and now. What, then, is the purpose of religion, especially Catholicism? Should we view our faith purely in terms of the eternal, or should our focus be on the world within our grasp? Unlike Longenecker, I disagree that the two are mutually exclusive. I ground that answer in the role model that Jesus provided. Jesus came to bring us salvation. He routinely claimed that his kingdom was not of this world. He came to forgive sins and extend to us the gift of eternal life. Yet, he did not neglect the world and the people that surrounded him. He healed those who were sick. He did not tell them to wait for the world to come to be made whole. He did not even make them wait for the Sabbath to be over, much to the chagrin of the religious leaders of his day. He brought comfort whenever he could. In forgiving souls, he brought peace and yes, happiness, to those he ministered to. Jesus instructed us to both love God (the eternal sphere) and to love our neighbor (the here and now). The two are intimately interconnected. We serve and love God by serving and loving our neighbor wherever and however we find them. Our faith should bring us joy and happiness in our life here on earth. Yes, life here on earth is a struggle. Yes, there is pain and suffering. Yes, it is a battleground of good vs. evil. Yes, we are sinners in need of redemption. But, those that hope in the Lord have a happiness and peace that transcends all others. One needs only to look at the lives of the great saints to know that this is true. Following Jesus is the way to joy both in this world and the world to come. Calling all Women: Do You Know Your Power? This article was originally printed on Catholic Exchange on Feb. 22, 2008 and is reprinted with permission of author Cheryl Dickow. "It is evident that women are meant to form part of the living and working structure of Christianity in so prominent a manner that perhaps not all their potentialities have yet been made clear." When John Paul II wrote Mulieris Dignitatem, his 1988 Apostolic Letter on the Dignity and Vocation of Women, he freely referred to the discourses of Paul VI, Pius XII, and John XXIII to shore up his own firm belief that women, when imbued with the Gospel, are bearers of gifts, charisms, and power (yes, he uses the word power) intended to "aid humanity in not falling." Imagine, "aid humanity in not falling." That's a powerful statement of a woman's effectiveness and ability. So, a full twenty years after feminists took center stage and burned bras, declared their equality, and mandated a way of thinking that threw families into turmoil, John Paul II earnestly tried to set the record straight. In his document, Mulieris Dignitatem, JPII begins by exhorting what he calls "the greatness of the dignity and vocation of women." It can be no surprise that our beloved Pope, himself in a Mary-honoring relationship, would proclaim such great news within the Church and to Catholic women everywhere. One cannot be in right relationship with Christ, and His mother, and not know that Christ's entire Messianic time on earth was exemplary in the way in which He broke with the traditional ways in which women had been mistreated to make a point. The point, as John Paul II lovingly describes, is that women understood Christ's messages of God in a special and thoroughly unique way, a necessary way. JPII brings into our consciousness an awareness of the women Jesus encountered and why it could be said that "Jesus' attitude to the women whom he meets in the course of his Messianic service reflects the eternal plan of God, who, in creating each one of them, chooses her and loves her in Christ": Simon's mother-in-law, the woman who had the flow of blood, the widow of Nain, and the Canaanite woman, to name a few. Throughout the document on the dignity and vocation of women, JPII continually draws us back to the eternal truth of a woman's worth due to her creation by God and boldly states that woman's creation was for its own sake, just as was man's, and it is an error to view God's punishment as a result of the first sin ("he shall rule over you") to be anything other than an evil inheritance for BOTH man and woman. In other words, where our world has interpreted that Scripture verse salaciously, JPII eloquently reminds us that God's original intention was for a more perfect union between man and woman. Equality was originally intended to be a measure of sameness as created beings in the likeness of God. Equal but different. Indeed, when JPII writes, "In the 'unity of the two,' man and woman are called from the beginning not only to exist 'side by side' or 'together,' but they are also called to exist mutually 'one for the other,"' there is no mistaking that in subjugating either of God's highest creations, both creatures suffer and this was never God's plan for humankind. Whether in regard to the societal misinterpretation of such verses as Genesis 3:16 or due to women's general misunderstanding of their own inherent worth, the "feminist" long ago gained momentum at the expense of what JPII refers to as her own "feminine genius" when she chose to pursue, at great danger, her own "masculinization." In many ways it would seem that feminism, as a means to masculinize the female species, is incompatible with the Church but most certainly incompatible with what JPII exhorts in Mulieris Dignitatem. This is to say that a Christian woman who lives and understands her call as a disciple of Christ cannot also find herself on the "feminist" path where her own gifts are seen as anything less than monumental, gifts to be employed for God and for His kingdom. When a feminist claims that a woman is only fulfilled when she occupies a "man's" role in life, she is simultaneously saying to a Christian woman, "The plan God has for you is less than what you should want for yourself." Sound serpent-like? Additionally, it should be abundantly clear that a Christian man diminishes his own dignity and vocation when he suppresses a woman's worth and calling. As said earlier, man is also a created being made in the image and likeness of God. As such, he cannot be called by his Creator to be anything less than loving, compassionate, wise, and forgiving in how he attempts to live out his life on earth. A Christian man understands how he is called to love his wife just as Christ loves the Church. As JPII states, "The bridegroom is the one who loves. The bride is loved." What a beautiful illustration of God's intention when Christ made Himself the bridegroom! A Christian man, then, conforms his own will to the will of God and in doing so, frees his wife to be all that God has called her to be and to fulfill her vocation in the midst of love. But how are Christian women called? Once we get back to the basics, sans feminist messages to masculinize ourselves, and embrace our own inherent worth, we are able to find anointed role models in Scripture regardless of the different times in our lives. Has God called you to a position of great territorial authority like Queen Esther? Has He blessed you with a family in which you affect the world by the way in which you love and nurture your spouse and children? Or has HaShem called you to remain anonymous while you diligently work for Him just as Noah's wife did? If Adonai has done the bidding, how can you refuse? I would suggest that God counted on the women in Noah's life, Moses' life, Abraham's life, and Isaac's life just as he counted on the men. Imagine if these women had mistakenly bought into a message that their worth wasn't in fulfilling God's role but in pursuing roles designated by their pagan neighbors or their jealous adversaries. This isn't to say that each of these women, and others like them, were without faults, but that in their faults, and in their stumbling, they provide more of an example on how to live as a Christian woman today than any television personality or best selling self help book. They were the perfect women John Paul II wrote of when he said, "The perfect woman becomes an irreplaceable support and source of spiritual strength for other people, who perceive the great energies of her spirit. These 'perfect women' are owed much by their families, and sometimes by whole nations." Cheryl Dickow is a Catholic author, speaker, and teacher with a Master's Degree in Education. Her books are available on Amazon and on her website www.BezalelBooks.com. Registration is under way for the spring session. Women interested in using this class towards catechetical credits are encouraged to contact their DRE (or whichever organization they belong to) with the general information about the study and receive permission prior to registering. Certificates of Completion will be available to all participants who request one at the time of registration. Gift certificates toward registration are available for friends and family. For more information click here. Travis Boudreaux, a Louisiana Catholic, has started Catholic-Tube, a website devoted to posting the best Catholic videos on the internet from sources such as You-Tube and God-Tube as well as smaller venues. It has many different pages and is well-organized so that you can find what you are looking for. I am privileged to be a contributor to Canticle magazine. In the January issue, I wrote a piece about how prayer can serve as a tool for Christian unity. Each issue is thought-provoking and inspirational. Right now, Canticle is offering a free trial issue. Call 800-558-5452 for more information. It is so easy to worry. I know I get stressed out about any number of things on a given day, many of which seem very important at the moment. I worry about health concerns, I worry about my children, I worry about my job, I worry about my parents. The list goes on. This psalm is a good reminder to rest in the Lord. My worrying is not going to change anything. I can do something productive to try to alleviate the cause of the worry. I can certainly pray about the situations that concern me. But getting stressed is not going to help one little bit. My life is in your hands, Lord. Please help me trust in you. Amen. I had every intention of reviewing The Book of Love: A Treasury Inspired By The Greatest of Virtues by Fr. Andrew M. Greeley and his sister Mary C. Durkin for Valentine's Day, but real-life love got in the way. David and I have been alternating sick time for the past week and a half. He was out of school last Monday through Wednesday. He still had some lingering effects Thursday and Friday while I was starting my sick event but we both managed to make our way to school and work. By Friday night, I was dragging and went to bed early. Saturday, I could barely get out of bed and spent most of the day on the couch. Sunday, I couldn't even get out of bed. I don't think I have ever actually had the flu before, at least not in many many years. (Memo to self - get a flu shot next year!) Everything hurt and simply lifting my head off the pillow made me feel like I was going to pass out. Thankfully my husband and sister (who lives with us) were around to care for the kids on Sunday. My fever broke late Sunday afternoon and I was able to get out of bed and begin recuperating. Yesterday, I was back to being Mommy, although definitely a slower-moving version of Mommy. Unfortunately, David woke up last night at 3 am with a stomach flu, and he spent most of today on the couch sleeping, although tonight he was feeling better. Hopefully, we all will get a full night sleep tonight. This is vacation week from school so we have all week to recuperate, although spending vacation sick is no one's idea of fun. So, anyway, getting back to "The Book of Love." Greeley and Durkin created an anthology of readings on all the different types of love there are in the world. They write "when we are mindful of love's possibilities, good things happen. We have a hint of what it means to be real." From young passionate love to married love to the love we have for our children to love between friends and the love of senior citizens, the readings tug at the heartstrings and make you reflect on the gift of love in our own lives. I've wiped away more than a few tears while reading these pages. While I doubt anyone would find all the readings applicable, the beauty of a lengthy anthology is that you can pick and choose what you want to read and still come away from the experience very satisfied. Real love is so multi-faceted, and it is sometimes during sickness that it shows it deepest colors. The care of a mother for a sick child is something so primal. Instinct just takes over. And as I lay sick in bed, I couldn't help wishing that my own mother was here to take care of me. We all need love when we are sick, someone to care for us when we simply can't take care of ourselves. Yes, love is all the wonderful things that poets and songwriters write about, but it is also (and perhaps more so) faithfulness in the darkest hours. I apologize for not writing much lately. I have the flu and am barely functioning. We say these words every time we pray the "Our Father": "Forgive us our trespasses as we forgive those who trespass against us." Somehow it is so much easier to ask for forgiveness than to forgive others. Yet, God holds us to this standard. In fact, he ties our own forgiveness to our ability to forgive others. We must forgive, as Jesus forgave those who were persecuting him even as he hung from the cross. This season of Lent is a good time to try to let go of the old hurts, the grudges we continue to nurse. We can't do it alone. We need to pray for God's help. Just a reminder that the conference is coming soon - Sign up today! * Can Your Query Pass the Seven-Second Test? by Canticle editor Heidi Hess Saxton. Heidi will also be presenting The Good Writer: Seven Important Habits. In addition to attending seminars, aspiring and published authors alike will have outstanding opportunities to attend moderated chats from important industry contacts, including Vinita Hampton Wright (bestselling author and editor of Loyola Press), Ami McConnell (senior fiction editor at Thomas Nelson), Bert Ghezzi (veteran author and acquisitions editor of Word Among Us Press), and Lisa Hendey (founder of CatholicMom.com and Catholic Moments podcast). Other presenters include best-selling author Tom Grace and award-winning author Tim Powers. How wonderful it is to be pleasantly surprised by a book! When I first picked up “Simple Ways Towards the Sacred,” I flipped through the pages and then put it down unimpressed. With titles of chapters such as “To Breathe,” “To Touch,” “The Wall,” and “The Window,” I was almost scared of what I might find. As it turns out, I had nothing to fear. 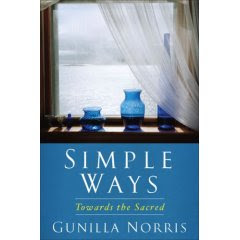 “Simple Ways Towards the Sacred” is an insightful book, well worth taking the time to read and ponder. Gunilla Norris is a well-known writer, meditation teacher, and psychotherapist. “Simple Ways Towards the Sacred” is designed to be used as a meditation tool. Her words are poetic, inviting the reader to stop and reflect on the simple things that we so often take for granted. The book is divided into four sections: “With Our Bodies,” “In Our Dwellings;” “With Our Everyday Things;” and “In Our Gratitude.” Norris encourages us to take note and truly experience the sacred that surrounds us. God is in the details. Finally, living in a state of constant gratitude is, in many ways, the secret of happiness. “There is not a single moment in life in which we are not given something. We can begin to notice this; we can increase our capacity to receive daily, both that which seems small and that which is big.” The seemingly simple appreciation of the nature that surrounds us, of the food on our plates and all the effort that went into getting it there, of the relationships that grace our lives, the work and chores we must do, the challenges we face, and the opportunities presented to us, will fill our souls with such gratitude and joy. Every morning, we are invited to “be,” to accept all that the day has to offer, both good and bad. Our very being is gift. We need only be aware. “Simple Ways Towards the Sacred” encourages us to be aware, to look at our daily life with fresh eyes, and find God in the midst of it all. The Shrine of Our Lady of Lourdes in southern France is the most visited pilgrimage site in the world -- principally because of the apparent healing properties of the waters of the spring that appeared during the apparitions of the Blessed Virgin Mary to a poor, fourteen-year-old girl, Bernadette Soubiroux. The first apparition occurred February 11, 1858. There were eighteen in all; the last took place July 16, of the same year. Bernadette often fell into an ecstasy during these apparitions, as was witnessed by the hundreds who attended the later visions, though no one except Bernadette ever saw or heard the apparition. The mysterious vision Bernadette saw in the hollow of the rock Massabielle, where she and friends had gone to gather firewood, was that of a young and beautiful lady. "Lovelier than I have ever seen" said the child. She described the Lady as clothed in white, with a blue ribbon sash and a Rosary handing from her right arm. Now and then the apparition spoke to Bernadette. One day, the Lady told the girl to drink of a mysterious fountain within the grotto itself, the existence of which was unknown, and of which there was no sign. But Bernadette scratched at the ground, and a spring immediately bubbled up and soon gushed forth. On another occasion the apparition bade Bernadette go and tell the priests she wished a chapel to be built on the spot and processions to be made to the grotto. At first the clergy were incredulous. The priest said he would not believe it unless the apparition gave Bernadette her name. After another apparition, Bernadette reported that the Lady told her, "I am the Immaculate Conception". Though the girl was unfamiliar with the term, the Pope had declared the doctrine of the immaculate conception of the Virgin Mary in 1854. 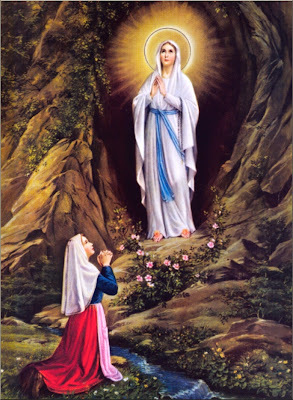 Four years after Bernadette's visions, in 1862, the bishop of the diocese declared the faithful "justified in believing the reality of the apparition" of Our Lady. A basilica was built upon the rock of Massabielle by M. Peyramale, the parish priest. In 1873 the great "national" French pilgrimages were inaugurated. Three years later the basilica was consecrated and the statue solemnly crowned. In 1883 the foundation stone of another church was laid, as the first was no longer large enough. It was built at the foot of the basilica and was consecrated in 1901 and called the Church of the Rosary. Pope Leo XIII authorized a special office and a Mass, in commemoration of the apparition, and in 1907 Pius X extended the observance of this feast to the entire Church; it is now observed on February 11. What do you hunger for? We most often think of hunger in terms of our physical needs. What is our next meal going to be? During Lent, we are invited in a special way to focus instead on our hunger for God. Fasting is not very popular today, but perhaps we need it now more than ever. We live in a consumer world where there is so much of everything, not just food but also trinkets, amusements, and electronic toys. Every advertisement tells us that we need just one more thing to make our lives complete, to bring us the elusive happiness that we seek. And yet, we don’t even take the time to savor what we have been given so generously by God. We live in a fast-food world, where we eat on the go. All the time-saving gadgets that we possess somehow have managed to steal more time than they save. Our families are always on the run. We have so much stuff that we need to buy bigger houses to store it or to have tag sales just to get rid of some of it! Fasting is an invitation to slow down and simplify. By paying attention to what we eat and what we own, we become more thankful for the food and things that we do have. We become more aware and appreciative of the gifts God has provided. We also come to realize that no thing and no one but God can fill the true hunger that lies within each one of us. On Ash Wednesday, we are reminded that “we are dust and to dust we shall return.” Lent is a time for penance. It is a time to remember our mortality and our sinfulness. It is a time to seek forgiveness and to attempt to make restitution. During Lent, we are called to fasting, almsgiving, and prayer. It should be a time of conversion and preparation. We are a people of hope. We know that Easter is coming, but we also know that we are in a time of waiting. When the day comes for the ultimate Resurrection, will we be ready? Will we have made ourselves new? Fasting has traditionally been associated with limiting one’s food intake but its meaning is broader than that. Fasting means stripping away all those things that stand between you and God. What do you set up as little “gods” in your life? What are those things that take your time away from that which really matters? Is reading that novel more important than spending time in prayer? Is watching television or surfing the internet more important than spending time loving and being with your family? Is engaging in idle talk a good use of your time? Is it important to pass judgment on those around you, or would shutting off your inner critic make you a more loving person? Fasting calls us to set priorities in life. What is of true value? It is an invitation to moderation. Yes, we should enjoy the great gift of life that God has given us, but we should always remember that God is the One that has provided these gifts. In a consumer world, it is all too easy to forget our utter dependence on God. Fasting can help us remember. In contrast, many people in the world are suffering from malnutrition and the lack of even basic necessities. We have the luxury of fasting by choice. We can make the decision to live simply so that others can benefit. We can donate money we save by living moderately to the poor in our community and the world at large. We can stand in solidarity with the poor throughout the world and acknowledge that our world has limited resources and we are called to share. Therapy is often difficult and painful, but it is pain for a purpose. It is designed to bring about a positive outcome, to bring healing of body, mind, or soul. From the child who must take bad-tasting medicine to the cancer patient who is forced to endure chemotherapy, physical cures often hurt in the process. Psychological treatment can also cause heartache as one comes to terms with the shadow sides of her personality and has to face the roots of problems in her life. In the end, however, relationships and people can once again be made whole. So, too, does spiritual therapy often entail some discomfort, but the healing that it helps bring about is all the more worthwhile. As we face our own sinfulness, spiritual therapy aids in making amends and rooting out the sources of the problems. As we, with God’s grace, work to heal our own shortcomings and focus instead on our hunger for God, we become better able to bring healing, love, and forgiveness to those around us. This Lenten season, I invite you to reconsider the role of fasting in your life. All of us have something in our lives that we can give up for God. It may seem impossible to think of giving up that something special that you cling to. It may be scary to think of stripping away the bad habits in our lives that stand between us and God. But something wonderful happens when we make the decision to give something up for God – God gives us the strength to do it. This Lent can be a real time of getting ready for Resurrection. It can be a time of commitment and spiritual growth. Beseech God to use your fasting to help heal your soul and bring you into a closer relationship with the only One who can truly satisfy your hunger. This article was originally printed in Canticle magazine. It is used with permission. I was reading the National Catholic Register today and came across two interesting Pro-Life Items. Yesterday was the presidential primary here in Massachusetts. The boys were asking me when they would be able to vote. I figured out that David will be able to vote in the presidential election in 2020 - Isaac with his November birthday will just miss it. Then, I thought about it. 2020 seems pretty far away, but I realized it is only 12 years. 12 years ago was 1996. I was a senior in college and dating my husband. It doesn't seem like all that long ago. 12 years from now both my children will be adults. It is going to go by in a blink of an eye. Thankfully, right now, they are still small enough to play with. We were running around the house tonight playing a game of "cops and robbers" - we were taking turns being criminals and being chased. I really need to enjoy these moments because they are so fleeting. Jean-Pierre de Caussade was born March 6, 1675 in the south of France. In 1693 he became a Jesuit and in 1704 was ordained a priest. He eventually earned a Doctorate in theology and taught until 1720. After this, he worked as a preacher and confessor. In 1729, he became the director of the Visitation Nuns in Nancy. 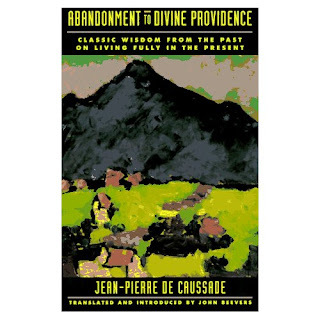 This appointment would last five years, but those five years have given us “Abandonment to Divine Providence.” This is a book that de Caussade was not aware he had written. Rather, it comes from preserved letters and notes from conferences that he gave to the Visitation sisters. Fr. Henri Ramiere edited them into a small volume which was first published in 1861. Today, it is recognized as a spiritual classic. Sometimes it can be difficult to see God's hand in our lives, especially when life is hard, when we are sick or experience heartache. De Caussade compares us to a stone being shaped by a sculptor. “I welcome each blow of his chisel as the best thing that could happen to me, although, if I'm to be truthful, I feel that every one of these blows is ruining me, destroying me and disfiguring me.” It is at these times that we need faith to believe in God's wisdom, to trust that God has our best eternal interests at heart. “Abandonment to Divine Providence” is a brief book. If one made an effort, it could be read in one day. However, it is one of those books meant to be used as an on-going source of spiritual nourishment. Open a random page and read a few paragraphs. Take a quote and put it where you will see it everyday. Receive a gentle reminder of what matters in life. Tomorrow is Ash Wednesday, the start of Lent. It is very early this year - the earliest it can possibly be, with Easter falling on March 23rd. Lent is meant to be a time of self-reflection and sacrifice, a time for prayer, fasting, and almsgiving. It is a time to strip away all the stuff that keeps us from God so that at Easter, we can truly rejoice in the Resurrection and in the eternal life it promises. Every year I take part in the Pre-Cana day at my parish. The day is designed to help engaged couples (at least one of whom is Catholic) have the tools to have a successful marriage. Without a doubt, all the challenges of marriage can not be discussed in a single day, but hopefully we get these couples talking about some issues that they may not have given much thought to. We had our preparation meeting last week and our pastoral minister gave each of us The Fall 2007 C21 Resources Newspaper which is put out by Boston College. The topic was marriage. One of the articles dealt with inter-faith marriages. Having major faith differences can put a real strain on a marriage, if not in the beginning then when children come along and decisions must be made about how to raise them. Lee Williams, a Professor in the Marital and Family Therapy Program at the University of San Diego has created a website: Two Churches, One Marriage designed to help inter-faith couples work through the challenges and create a stronger bond. Every week I look forward to Phil Lenahan's column in the National Catholic Register. His primary focus is to integrate spirituality and finances - for us to be faithful stewards of the resources that God has given us. I just checked out his website: Veritas Financial Ministries which offers many good resources, information, and tools for getting your financial order in house for free. Lenahan has also written a book: "The 7 Steps to Becoming Financially Free." Both resources will help you take stock of where your money is going and how to be a more faithful steward. Against you, you alone, I have sinned. and in secret you teach me wisdom. Can Prayer and Free Will Co-Exist? Many thanks to my friend Wing for musing on this question and getting my brain thinking about it: Religion and Philosophy hurt my brain. Does prayer interfere with the gift of free will? This question was posed by a very intelligent self-described non-religious person. He was trying to sort out how prayer would work. If one prayed to God to intervene in human affairs, God would then have to force a person to act and that person would no longer have true freedom. It is a very interesting question and one worth pondering. What exactly is the relationship between prayer and free will? Yet, there are certainly times when prayers are answered the way we hope. God does intervene in history and often uses people as his tools to do it. Does this somehow encroach on that person's free will? For example, think of a doctor performing surgery. He is there with the purpose of healing the person. In his mind are all his years of education and practice. If God helps guide his hands or allows him to remember a bit of medical knowledge tucked away in the deep recesses of his brain which allows him to save the person, has he interfered with the doctor's free will? The answer is “no.” The doctor had already made the choice to heal. God simply helped him do it better. Even when the interference is perhaps more direct – urging a person to intervene in a situation, for example, that a person might have otherwise ignored - the person still needs to make a choice to obey the urge. The person still has free will. Every decision we make is influenced. We are a product of our upbringing, our education, our exposure to the media, etc. All these forces come to bear on any decision we make, whether we realize it or not. God, also can (and should) influence our decisions for the greater good. So, yes, we have free will, but that will is ultimately free only when it chooses as God would want us to choose. Prayer brings our free will, and can help to bring other's free will, into alignment with God's will.